1 and 2 button 4000 series colour video kits with codelock. 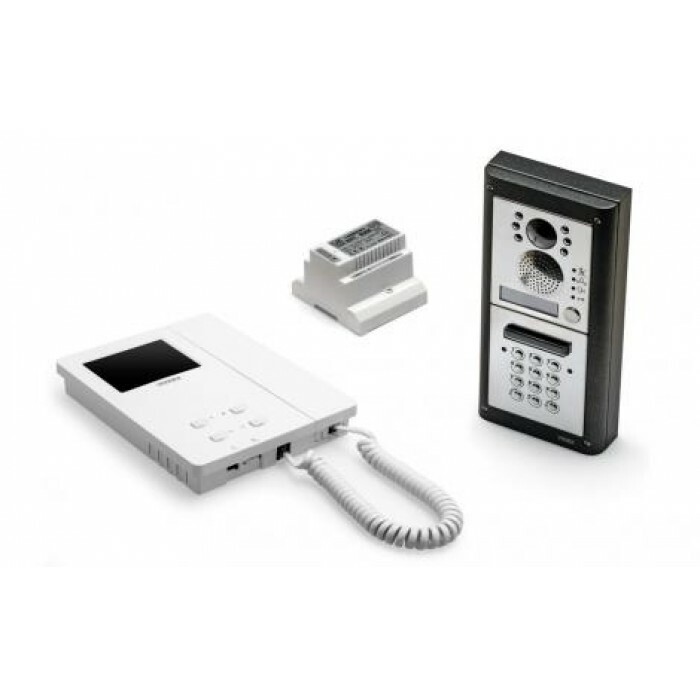 The flexible design allows for the addition of up to a total of entrance doors and up to 4 video handsets per call button with intercommunication between the handsets. Other facilities include adjustable call tone and time, camera recall (selectable), timed mute facility with led indication. Door panels have adjustable reassurance tone and call progress led's for calling, speak, door open and system busy. The codelock has 3 codes, 2 changeover relay outputs and an override input. It can be programmed from 1-99 seconds or latching output. The system does not require coaxial cable. Available in surface (/S) and flush.